It includes IV drips, infrared saunas, cryotherapy, and a functional food and tonic bar. Amongst the hustle and bustle of Midtown East, lies a wellness space unlike any New York has seen. Offering a depth of wellbeing and a wide range of services—from the most high-tech IV drips, infrared saunas, and cryotherapy, to functional food and a tonic bar—Clean Market opened its doors on July 10, and already it has cemented its place as one of the most elevated body and mind destinations in a city chock full of studios and shops that want to help you better yourself. Once you learn that the founder is Lily Kunin, it all begins to make sense though. 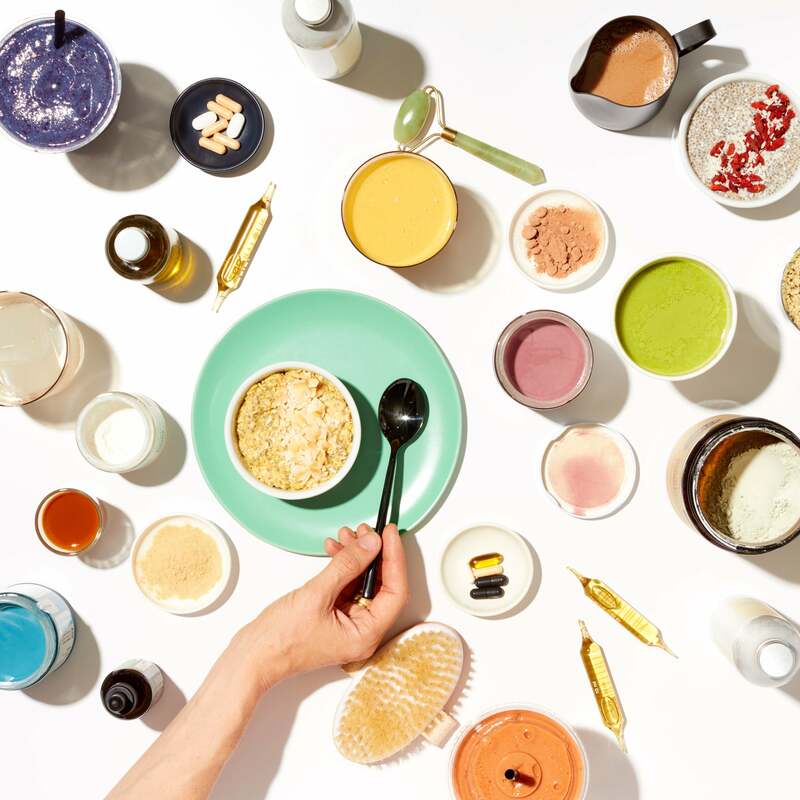 Kunin is the creator of the site Clean Food Dirty City and cookbook Good Clean Food: Super Simple Plant-Based Recipes for Everyday, and Clean Market is essentially a psychical extension of her wellness-focused mindset. In person, those seven pillars translate to medical grade supplements and nontoxic beauty in the apothecary, Moon Juice signature-mix lattes at the smoothie bar, and infrared saunas, a vitamin IV drip lounge, and high-tech cryotherapy chambers—a mecca of wellness not found under one roof in New York until now. The design of the space is also a breath of fresh air. The idea was to create a calming environment that creates a state of change in you as soon as you walk through the door. From the light wood to the bright white lighting accents and neon statements, along with a plant shop-worth of greenery, Clean Market brings nature and calmness indoors. “The space is filled with natural materials—it’s light and bright when you walk in and begins to incorporate wood and stone as you head towards the back where we house our IV drip and thermotherapies lounge,” says Kunin. And about those IV drips: It’s a collab with NY-based drip experts NutriDrip, where a menu of IV drip options are available according to how you’re feeling. A certified expert will chat with you about your body in great detail, and then customize an IV or booster shot to combat the everyday stressors of city life. The IV options are meant to address the first sign of a weakened immune system or overall stressors, while a booster shot can target specific energy or quick recovery issues. “Benefits of IV drips include enhanced detox, reduced inflammation, improved hangover recovery, boosted immune system, improved anti-aging and beauty, and enhanced energy,” says Kunin. And the smoothie and tonic bar is elevating drinks to a superfood level. Kunin has trained her team to guide you through the menu, helping to pick and customize with the six signature smoothies and two smoothie bowls. Everything from energizing superfoods and supplements like maca, collagen, B12, probiotics, greens, and blue majik are available to boost your smoothie for energy, reduced stress or enhanced brain function. Even cauliflower and avocado are available if you’re looking for lower sugar substitutions. Not in NY but still want to relax, reenergize, and refuel? (Of course you do!) Some of Kunin’s favorite picks from her apothecary section include Xymogen’s Relax Max, Vital Nutrient’s Vitex, Olas Mouthwash, True Botanicals Clear Line, and the Goop bath soaks. And some things in life are free: including an ice cold shower at home, which can sub in for a cryo treatment. Clean Market is at 240 East 54th Street, go check it out!